Curt is a Los Angeles based actor, writer and director from Dallas, Tx, best known for his four season recurring role as Nick the Warbler on Fox’s hit show Glee. He led the Warblers in Billy Joel’s Uptown Girl and toured with the Glee cast for the 2011 Glee Live International Tour. Additional film/television credits include NCIS: LA on CBS, Switched at Birth on ABC Family opposite R.J. Mitte, Code Black on CBS, Game Shakers on Nickelodeon and Crazy Ex Girlfriend on CW and the indie comedy film Spare Change from the producers of Orange is the New Black. Currently, he can be seen on the workplace comedy series Brian Remus, Science Genius from Relativity Media. As a writer and producer, he co-created and starred in the digital comedy series Buffering. in 2016, he originated the lead role in the original spy-comedy musical Spies are Forever from the comedy trio The Tin Can Brothers with music by Talk Fine in both Los Angeles and Chicago. Additional theatre credits include the 2014 Ovation Award nominated Les Miserables at Cathy Rigby’s La Mirada Theatre for the Performing Arts, Damn Yankees with Richard Kind at Casa Mañana Theatre and the regional debut of The Light in the Piazza at Theatre Three in Dallas, Tx. 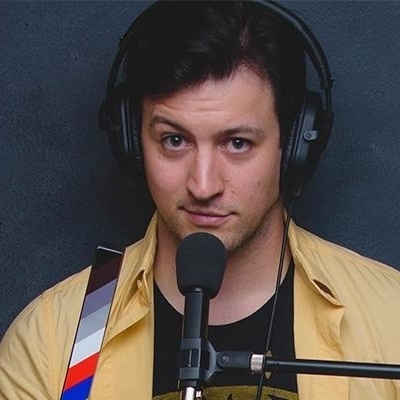 In 2013, he toured the country in the original sketch comedy show The JoMoShow, was a multi-season company member of Second City’s TMI The Show, and can be seen in various comedy shorts on the internet, including a recent episode of Last Moments of Relationships from YouTube sensations The Fine Brothers. Curt is currently directing his first feature film – the psychological l horror/thriller POV. In addition to his work as an actor, he is also an acting teacher, and coach both in LA and nationwide, teaching Scene Study, Improv, and Sitcom. Over the past two years, he has served as the Director of Creative Operations for a major LA acting studio, writing, directing and producing 30+ short films in that time and developing their comedy/improv training program.